This comment was from a reader of a recent article I wrote on ElderShield. It is a very interesting feedback because I got to learn about how people may be thinking about long term care insurance. While the information is easily available, it does not automatically mean that it is easily understood. Recently, I read a beautiful book. It’s titled “It’s As Simple As Where You Live” and the 66-pages book is about the author’s struggles and the lessons learnt in finding and arranging for the right type of care for her mother. In the book, she shared a concept which I’ve found to be extremely useful in helping me understand where long term care insurance (such as ElderShield) will fit in as part of planning for the future. My caveat of course is that this type of planning is only of use if you see the need for daily assistance as a possibility when you grow old. With permission, I will like to share this concept and include my opinion on how and when long term care and other types of insurance is going to fit in within our local Singapore context. At this level of care, the elder is cared for at home with additional assistance for medical and non-medical (also known as companion services) needs. Example of medical assistance may be the organization and consumption of medication while non-medical assistance examples could mean cleaning, cooking and looking after the general welfare of the elder. 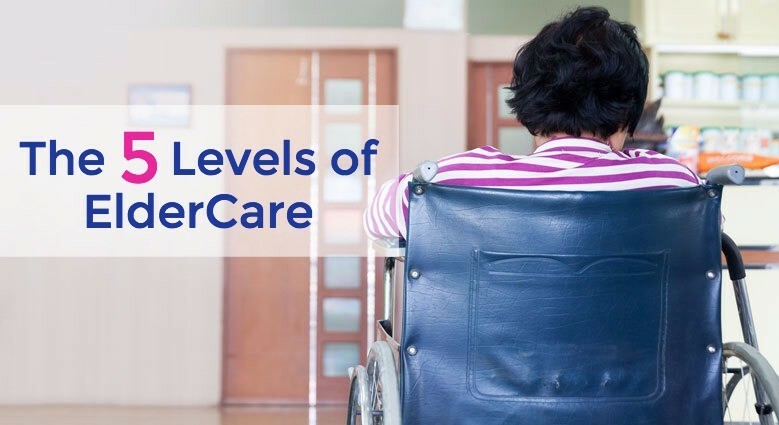 An example of Level 1 care might be an elder being unable to be fully independent after a fall, a surgery or having an illness such as early stage Parkinson’s disease. The caregiver may have to move in with the elder (or it could be the other way and have the elder move in) in addition to hiring a full-time domestic helper. At this level, funding is mainly through personal savings complimented with the addition of lump sum insurance payout from Early Critical Illness plans, if the condition is covered. Long Term Care Insurance may or may not be claimed at this stage. At this level, the Elder is still able to live independently but it is no longer advisable or safe to be alone. This is where the concept of “Retirement Village” can fill the need for independent living yet at the same enjoy the benefits of being part of a community. In Singapore, this is a relatively new concept and the first such “Retirement Village” opened only in Dec 2015. The costs of staying in this type of facility is usually higher than that of a nursing home and will usually be privately funded from savings. Insurance is not expected to fund this level of care. This level of care refers to stay-in-care provided at a residential site. Typically, we think of it as nursing homes. The concept of “Activities of Daily Living” (i.e. ADLs) is used here to help plan for the type and level of care needed. Needing assistance for performing ADLs is usually a key factor in requiring this level of care. Also, it is likely that the elder is no longer able to be cared for at home. The funding for Assisted Living can be from financial assistance, self-funding and very likely from insurance payouts. The inability to perform at least 3 ADLs will qualify for claim payouts under ElderShield and long term care insurance is designed for such regular and long term needs in mind. At this level, the Elder will require care beyond basic medical. There is a need for skilled round the clock care by a medical practitioner. It may be in nursing homes that is able to provide skilled nursing, in community hospitals or perhaps, specialized homes such as homes for persons with dementia. Funding for this level of care will likely come from personal savings and insurance such as ElderShield and Critical Illness insurance payouts. Financial assistance is available for those who qualify. Hospice care is for the last stages of life and can be at home or in hospice facilities. Unlike the previous 4 levels of care where the need may stretch into many years, Hospice care can last anywhere from days to weeks to months. Besides the sources of funding described earlier such as personal savings, ElderShield and Critical Illness (if applicable), life insurance can be claimed if there is a “Terminal Illness” provision in the contract. The title of the book says it all…It’s As Simple As Where You Live. When the day arrives to have that conversation about caring for an elder, the discussion should be about “Where?”. Unfortunately, if money is a concern or the funding is going to be from personal savings, the conversation often changes to “How much”? If it’s still early enough for you, do not hesitate to have a discussion with your financial planner about preparing and planning for ElderCare, be it for yourself or your family. It is not a discussion on insurance even if insurance products may be discussed. It is also not a discussion on retirement even if this is an inevitable part of getting ready for retirement. What it is and should be is a discussion about where to live and money should be taken out of the equation. 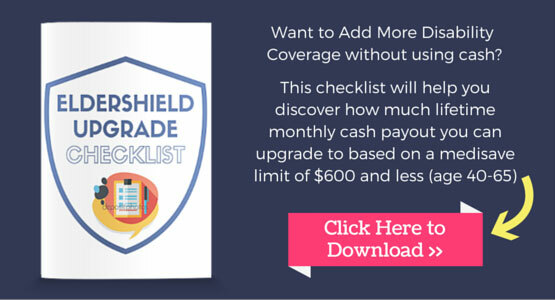 If you’ve missed my previous article, you can get the ElderShield Checklist here to help you get started on your financial planning. Have fun working through the details! If you want to know more about long term care or any other enquiries, you may contact me through whatsapp, schedule an appointment with me or fill up the form below and I will get back to you as soon as possible. Do You Need Insurance After 65? How should Retirement Income look like in Singapore?